Delhi is India’s capital city and the home of executive, legislative, and judiciary branches of the Government of India. 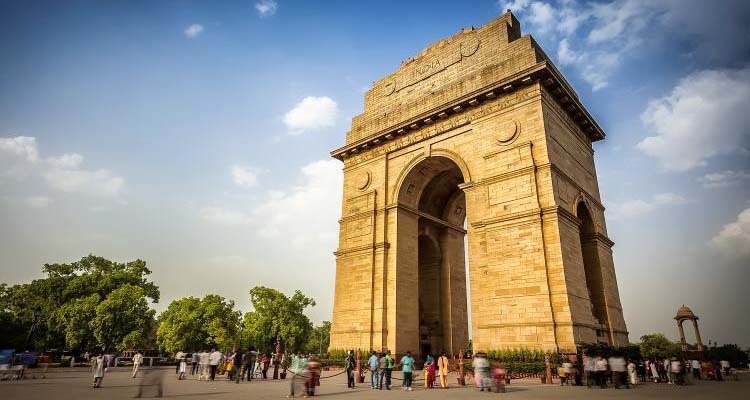 Delhi is a large metropolis with strengths in arts, commerce, education, entertainment, fashion, finance, healthcare, media, professional services, research and development, tourism and transport all contributing to its prominence. Delhi’s has an extreme climate. It is very hot in summer (April – July) and cold in winter (December – January). The average temperature can vary from 25oC to 45oC during the summer and 22oC to 5oC during the winter. From Hindu Kings to Muslim Sultans, the reins of the city kept shifting from one ruler to another. The soils of the city smell of blood, sacrifices and love for the nation. The old ‘Havelis’ and edifices from the past stand silent but their silence also speaks volumes for their owners and people who lived here centuries back. The Purana Quila (Old Fort) is a very good example of Mughal military architecture. Chandni Chowk, a main marketplace in Delhi, keeps alive the city’s living legacy of Shahjahanabad. The Qutub Minar is located in Qutb complex, Mehrauli in South Delhi. It was built by Qutub-ud-din Aibak of the Slave Dynasty, founder of the Delhi Sultanate, started construction of the Qutub Minar’s first storey around 1192. In 1220, Aibak’s successor and son-in-law Iltutmish completed a further three storeys. In 1369, a lightning strike destroyed the top storey. Firoz Shah Tughlaq replaced the damaged storey, and added one more.. It is a fluted red sandstone tower, which tapers up to a height of 72.5 meters and is covered with intricate carvings and verses from the Qur’an. Akshardham Temple it is the third largest Hindu temple in the world. It was built in 2005. In the sprawling 100-acre (0.40 km2) land rests an intricately carved monument, high-technology exhibitions, a musical fountain, a food court and gardens. The Laxminarayan Temple is built in honour of Lakshmi (Hindu goddess of wealth), and her consort Narayana (Vishnu, Preserver in the Trimurti) by B. R. Birla from 1933 and 1939, when it was inaugurated by Mahatma Gandhi. The side temples are dedicated to Shiva, Krishna and Buddha. The temple spread over 7.5 acres, is adorned with many shrines, fountains, and a large garden, and also houses Geeta Bhawan for discources. The temple is one of the major attractions of Delhi and attracts thousands of devotees on the Hindu festivals of Janmashtami and Holi. ISKCON Temple also popularly called as the Hare Krishna temple is a famous Vaishnava temple with deities of Sri Radha Krishna. Located in South Delhi, the construction of the temple began in 1991 and was completed in 1998 under the planning of internationally renowned architect Achyut Kanvinde. The temple primarily built with red stone is recognized for its unique architecture which blends the traditional Vedic with contemporary style. The complex also houses a one of a kind in the country Robtic show which explains the message of Bhagavad Gita. Another highlight of the temple is beautifully drawn paintings of the Lord done by the foreign devotees. Apart from these, the temple acts as study base for those wish to study the Vedic scriptures, Yoga and provides facility for practicing Bhakti Yoga as given by Srila Prabhupada. The temple also serves the devotees pure vegetarian food at its ‘Govindas’ restaurant. The temple is easy to approach as it well connected by buses and Metro trains. The Masjid-i-Jahan Numa, commonly known as Jama Masjid, is the principal mosque of Old Delhi. Commissioned by the Mughal Emperor Shah Jahan and completed in the year 1656, it is one of the largest and best known mosques in India.It can accommodate around 25,000 people at once. The Lotus Temple is an exceptionally beautiful structure, created by the Bahá’í House of Worship, situated in South Delhi and looks like a white lotus. It was built by the Bahá’í community. Shri Digambar Jain Lal Mandir is the oldest and best-known Jain temple in Delhi originally built in 1658. This temple is located just opposite the massive Red Fort at the intersection of Netaji Subhas Marg and Chandni Chowk. The Temple is an impressive structure made up red stone giving the name Lal Mandir. The Jantar Mantar consists of 13 architectural astronomy instruments, built by Maharaja Jai Singh II. 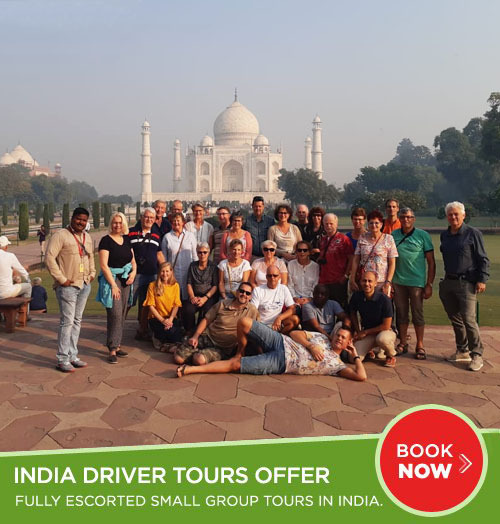 On the banks of the Yamuna River, which flows past Delhi, there is Raj Ghat, the final resting place of Mahatma Gandhi, the father of the nation. It has become an essential point of call for all visiting dignitaries. Two museums dedicated to Gandhi are situated nearby. The India Gate is one of the most famous monuments in Delhi. Built in the memory of more than 90,000 Indian soldiers who lost their lives during the Afghan Wars and World War I.
Humayun’s Tomb is one of Delhi’s most famous landmarks. The monument has an architectural design similar to the Taj Mahal.